I have to admit, I am a stickler for tradition. I've always had a problem with wanting to do things 'the way they're supposed to be done'. (Just ask my husband who isn't allowed in the kitchen because he dared to change up one of my recipes.) Maybe this comes from my Mexican upbringing, the strict and 'old school' mentality of my parents. Or maybe it's just my personality, slightly meticulous tendencies, and controlling disposition. But here I am today, planning my own wedding (vow renewal, really) and trying to incorporate as much Mexican tradition as possible, while still incorporating the bajillion ideas I've discovered on Pinterest. I'm letting go of the notion that weddings are supposed to be one way and letting my creative side take the reins. 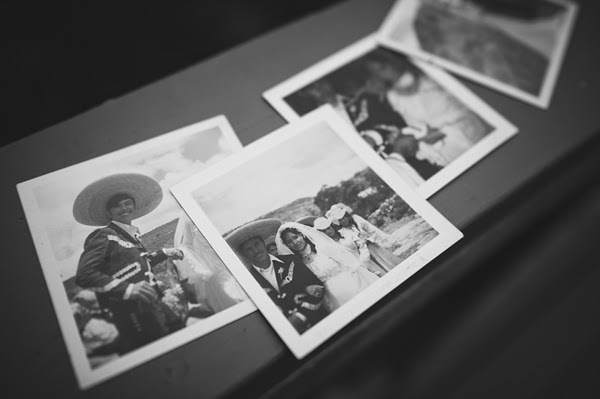 I'm taking the essence and color of Mexican weddings and making it my own! Mexican weddings are the result of the combination of religious, Spanish, and indigenous traditions, hence their joy and colorful celebrations. 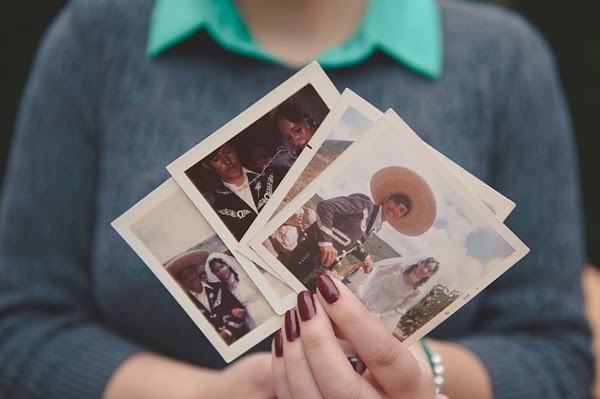 Mexican weddings are all about the community, bringing families together, and celebration. So incorporate as many traditions as you want, from your own heritage or your soon-to-be's, and make your guests truly experience a wedding that is completely YOU. To help your planning, here's a glimpse at my heritage and some of the wedding traditions still practiced today. 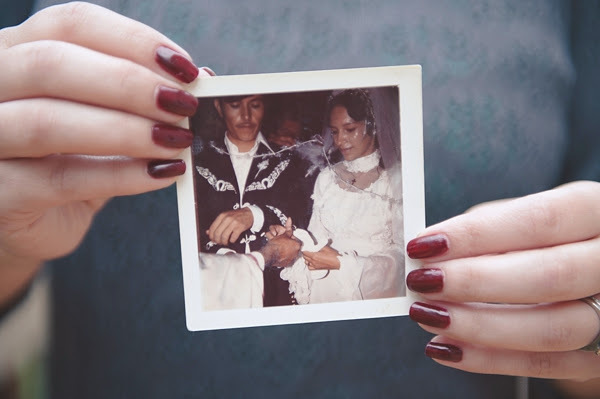 The "Padrinos" or sponsors of a wedding are traditionally a couple that has been married for a long time, and they are supposed to give guidance and advice to the newlyweds for a prosperous marriage. They are the "Godparents" of marriage in a way. It is a lasting relationship that is honored every anniversary, during special occasions, and is kept close to heart. Modern day weddings have a number of padrinos for a number of different things. These are family members or friends that have been asked or have volunteered to make a contribution toward the wedding. Some padrinos pay for the dress, cake, photography, etc. It is an honor to be a padrino, and it comes with great responsibility. Padrinos are typically listed on the invitation or in a separate list included in the invitation. This is the couple's way of honoring and thanking their padrinos. We are all familiar with the walk down the aisle, where the mother walks with her son and leaves him at the altar to meet his bride. Then the bride walks down the aisle with her father who gives her away to her future husband. The tradition in Mexico is for both parents to walk their children down the aisle. For the groom, it signifies the moment when his parents realize he has become a man, ready to start his own family. The bride's parents are not only giving her away but also welcoming the groom into the family. The "Arras" are 13 gold coins presented in an ornate box or tray during the wedding ceremony. The coins are blessed, and then presented to the groom. He then presents them to the bride, promising to provide, support, and care for her. The bride accepts these and returns them to the groom promising to care for him, have complete trust in him, and care for their wealth. The exchange symbolizes their commitment to sharing their wealth, and to strive to make their marriage fruitful. The Lazo (lasso) is made from a large rosary, a white ribbon, or a decorated cord. It is draped around the shoulders of the bride and groom as a symbol of the couple's unity. The padrinos place the lazo on the couple in a figure 8 while the couple kneels at the altar. The ritual takes place after the bride and groom have exchanged their vows along with a wedding prayer and remains on the couple for the remainder of the service. It is not required, but some believe that choosing a married couple for this ritual is good luck. Particularly if said couple has had a thriving marriage. Some choose a couple that they admire or look up to, in hopes of having a similar marriage. Our Lady of Guadalupe, also known as the Virgin of Guadalupe is recognized as a national symbol for Catholic Mexicans. It is common for brides to carry two bouquets-- one to keep as an heirloom, and the other as an offering to a statue of the Virgin of Guadalupe. During the ceremony, the bride and groom take a moment to present this bouquet of flowers (typically a dozen roses) to the statue and pray for her blessings. This is possibly the most important tradition of all, as the Virgin of Guadalupe is the anchor in Mexican homes. There's no doubt that honoring your heritage makes for an extra special wedding day. Even honoring other cultural traditions will add that special something to your day. We live in a community that is rich in culture, diversity, and history. There is inspiration everywhere! I hope that by sharing some of my own traditions, you've found some inspiration for your own wedding. With a penchant for architecture and cultural diversity, Veronica Amador loves to collect stories, especially those of her family's Mexican heritage. Her husband's military career brought her to Hampton Roads almost four years ago, and because of that, she's always looking for their next adventure-- locally and beyond. Veronica and her husband eloped in 2006, but that's not stopping her from avidly planning their big 10 year anniversary-wedding celebration for family and loved ones. And of course, it'll be steeped in beautiful Mexican traditions in a modern day world! When she's not writing or wedding planning, Veronica is a dog mom of two, loves to visit Olde Towne Portsmouth, and eat "the best steak ever" at Byrd and Baldwin. All photos by Chelsea LaVere.